The Early Childhood Work Environment Survey (ECWES) can help you assess the organizational climate of your early childhood program. 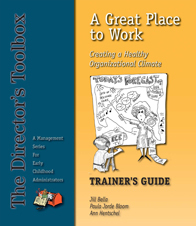 The resulting Work Environment Profile summarizes staff perceptions about different organizational practices and can serve as a springboard for creating a great place to work. Since the ECWES was developed in 1985, more than 40,000 early childhood practitioners working in 3,500 programs have completed the survey and received a summary profile. 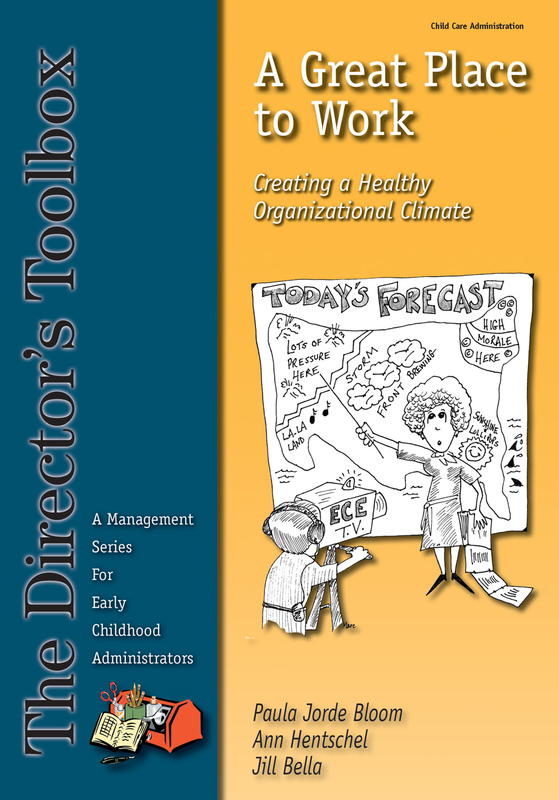 WHY ASSESS THE ORGANIZATIONAL CLIMATE OF YOUR PROGRAM? 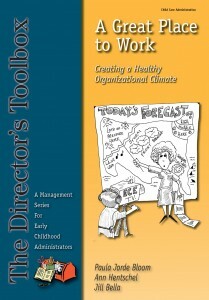 Assessing attitudes about organizational practices can help you . . . The ECWES measures staff perceptions in ten areas: Click here to download a description of the 10 dimensions. The ECWES cost $15 for each person completing the survey. Thus, if you have a staff of ten, the total cost for conducting an organizational climate assessment of your program and receiving a Work Environment Profile of the aggregate results would be $150. Place your order. Indicate whether you will be paying by credit card (Visa or MasterCard) or have a purchase order and wish to be invoiced. Provide your contact information and indicate the total number of surveys you need. Remember, the ECWES is designed for all administrative, teaching, and support staff who work more than 10 hours per week and you need a minimum of five staff at each site to generate a meaningful Work Environment Profile. Please note that unused surveys may not be returned for credit. Register each site. Once your payment has been verified (or your purchase order approved), you will e-mailed a registration form asking for the name of the center(s), a contact person for each center, the number of surveys designated for each site, and the name and e-mail of the individual to whom the summary Work Environment Profile should be sent. Complete the Center Background Information Form. When registration is complete, the designated contact for each center will be sent an e-mail with a link to a Center Background Information Form to complete. This form includes the center’s unique Center ID. Save this number. It will serve as the reference number for the program should you decide to do an organizational climate assessment for this center in the future and want to compare results. When you have completed the form, click the button ‘Save Changes.’ You can go back and adjust the information on this form any time during the assessment process. Your profile cannot be generated without this form on file. Distribute the survey. The e-mail the designated contact person for each site receives will also include a survey link to send to each staff member. Some directors send this link to each employee’s personal e-mail so they can complete and submit the survey from home. Other directors have staff complete the survey on a computer at the center. If you go this route, make sure that individuals have privacy when they are completing the ECWES. The directions for completing and submitting the survey are included in the ECWES link, but is always a good idea to inform staff beforehand about the purpose of doing a climate assessment, the confidentiality of individual responses, and how the resulting Work Environment Profile will be used. When distributing the link, let staff know the survey takes approximately 15 minutes to complete but they can take as much time as they need. Also let them know they should plan to complete the survey in one sitting as partially completed surveys cannot be saved. The link for completing surveys will remain active for 30 days. Download your Work Environment Profile. Once the total number of surveys purchased for each site have been submitted, or your 30-day window has expired, the data will be processed and a Work Environment Profile summarizing the aggregate results will be sent to the person designated to receive the summary profile. 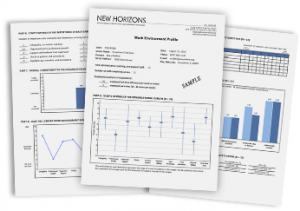 The individual will also receive information for how to interpret the results as well as helpful resources for turning the results into an action plan for continuous quality improvement. If you are ready to place your order, click here. If you would like a pdf handout of the information on this page, click here. Consultation is available by faculty at the McCormick Center for Early Childhood Leadership at National Louis University to help you interpret the results of your Work Environment Profile and create an action plan to improve the quality of work life at your center. Contact Dr. Jill Bella, jill.bella@nl.edu, 847-947-5059. Dr. Bella is also the person to contact if you would like to learn more about how the ECWES is being used in local and state quality improvement initiatives or are interested in a training on the topic. For research support relating to ECWES results including descriptive statistics, item analysis, or pre/post comparisons, contact Dr. Mike Abel, Director of Research and Evaluation, at the McCormick Center for Early Childhood Leadership, michael.abel@nl.edu, 847-947-5312.